Get a contemporary seasonal look in the Rundholz short cardigan. 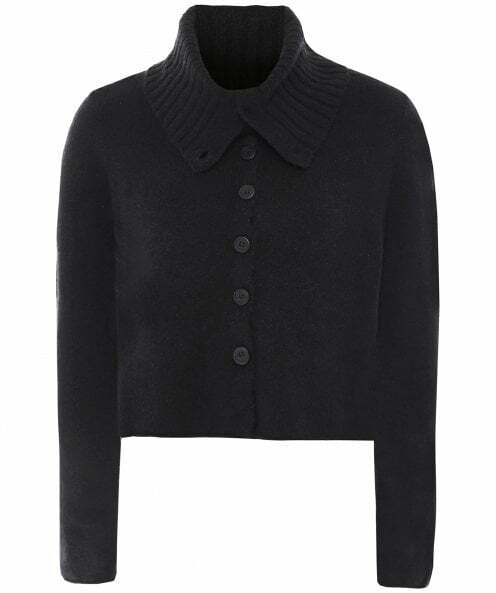 Lovingly crafted from a sumptuous wool blend, this luxuriously soft cropped cardigan is a super comfortable layering piece to wear during the cooler months. Featuring a button down fastening, relaxed turtleneck, raw edge details and a stepped hem for distinctive appeal.